The Lamborghini Countach LP400 is a futuristic space ship cleverly designed as a car. 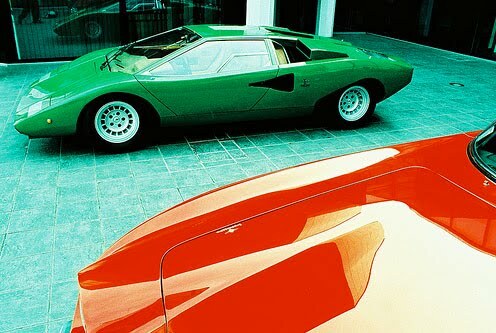 The first Lamborghini Countach LP400 prototype was introduced to the world at the 1971 Geneva Motor Show. The Lamborghini Countach LP400 is a super lean and clean driving machine. 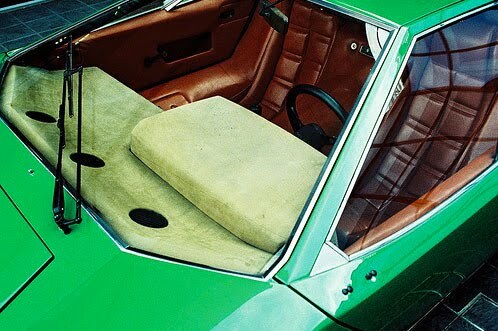 The Lamborghini Countach LP400 was styled by Marcello Gandini of the Bertone Design Studio, the same designer and studio that designed the Miura. 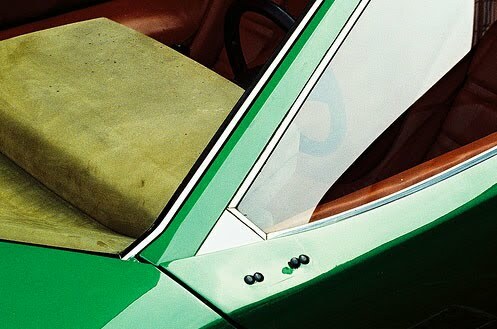 Marcello Gandini was then a young, inexperienced designer in the practical, ergonomic aspects of automobile design, but at the same time unhindered by them. 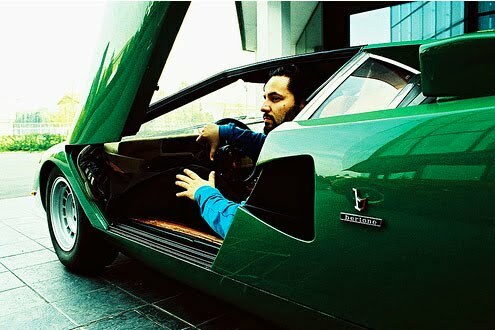 With th Lamborghini Countach LP400 he produced a incredible striking design. The shape of the Lamborghini Countach LP400 was wide and low (42.1 inches), but not very long. Its angular and wedge-shaped body was made almost entirely of flat, trapezoidal panels. There were curves, notably the smoothly coke-bottle wing line, but the overall appearance was sharp. The word countach is an exclamation of astonishment in the local Italian Piedmontese language, generally used by men on seeing an extremely beautiful woman. 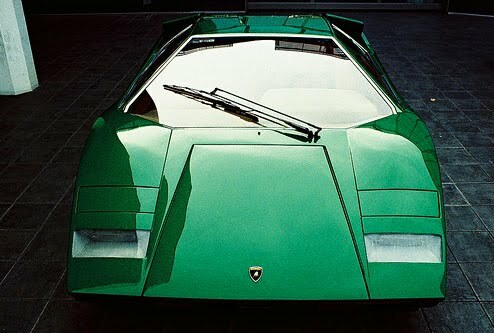 The Countach name stuck when Nuccio Bertone saw the car in his design studio. 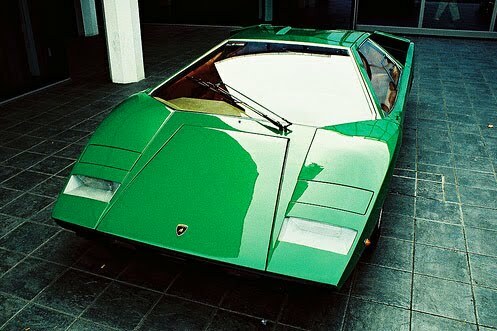 The Lamborghini Countach LP400 prototype was introduced to the world at the 1971 Geneva Motor Show. The above images were taken during a trip between St. Moritz and Sant'Agata.